The science publication, Nature has discovered that "a 2009 paper co-authored by Kamran Daneshjou, Iran's science minister, are identical to those of a 2002 paper published by South Korean researchers." 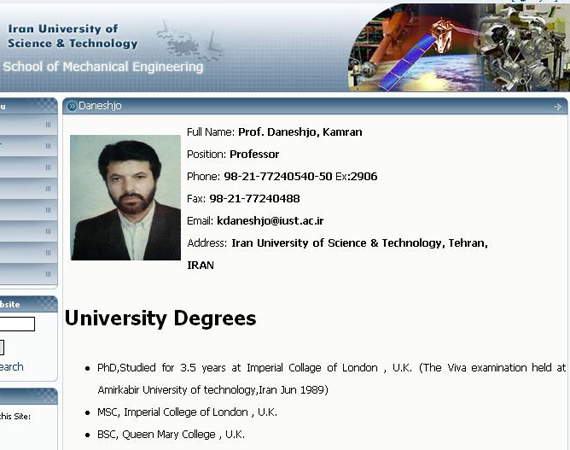 The 2009 article published by Kamran Daneshjou and Majid Shahravi in Engineering with Computer magazine is by implication a product of plagiarism. Declan Butler's report also reveals doubts surrounding the authenticity of the science minister's credentials. 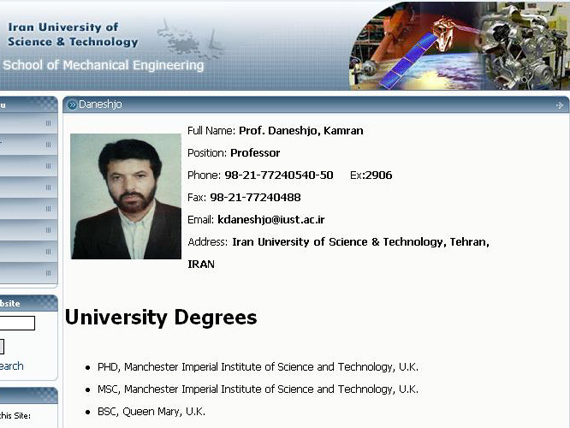 Daneshjou's webpage, according to Butler, previously claimed he received his PhD from Manchester Imperial Institute of Science and Technology, but in the past week he has changed the content of the website, claiming he received his degree in 1989 after working at the Imperial College in London and the defense of his thesis actually took place in AmirKabir University in Iran. 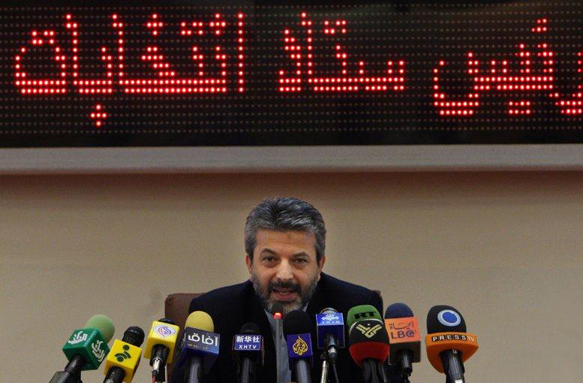 Mr. Daneshjou is not the first person in Mahmoud Ahmadinejad's cabinet to be accused of holding a forged degree. Former interior minister Ali Kardan's degree from Oxford University was proved to be fake, and the authenticity of Ahmadinejad's vice-president Alireza Rahimi's academic documents are also under question by several members of parliament. Mr. Daneshjou's performance as the head of elections headquarters during the controversial June presidential election is also suspicious. Widespread allegations of fraud have been made concerning the ballot. Opposition and protesters claim Mr. Ahmadinejad's victory is the product of a rigged election.